In episode No. 10 of our "In The Paint Show," Ron and Devin go in on the ongoing saga surrounding the Pelicans-Lakers trade talks. Did both parties screw up? They also talk Brady-Jordan and six rings and preview the upcoming CIF Southern Section Open Division Playoffs AKA Open Madness! In the tenth episode of our all-new “In The Paint Show,“ hosts Ronnie Flores and Devin Ugland break down the Super Bowl and the Brady vs. Jordan 6-ring debate, give an update on the wild Pelicans-Lakers trade talks and go hard on the latest FAB 50 National Rankings and the upcoming CIF Southern Section Open Division playoffs. The Super Bowl had a huge NorCal flavor and the fellas talk about what NBA great Tom Brady reminds them most of. The Lakers and Pelicans trade talks seem to hit a stalemate right before the NBA trade deadline. Did Rich Paul make the right move with Anthony Davis’ request? Did the Lakers, particularly Magic Johnson and the rest of the front office, handle the trade talks correctly by making so much of it public? 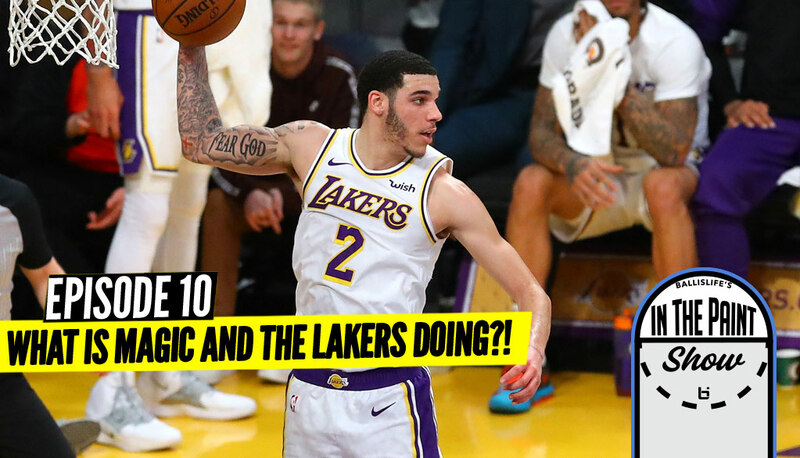 What will happen to the Lakers’ young core if there is no trade before the deadline? We go Hard in the Paint about the whole saga! Ron breaks down La Lumiere’s close win over the weekend to remain No. 1 in the FAB 50 and recaps the California No. 1 vs. No. 2 showdown in California between current FAB 50 No. 8 Rancho Christian of Temecula and No. 11 Sierra Canyon of Chatsworth. Dev closes things out by breaking down the loaded CIFSS Open Division playoffs, where Rancho Christian and Sierra Canyon are the top two seeds in the section’s new pool play format. The fellas hit on plenty this week, so make sure to give our Pod a listen below and share it with friends!